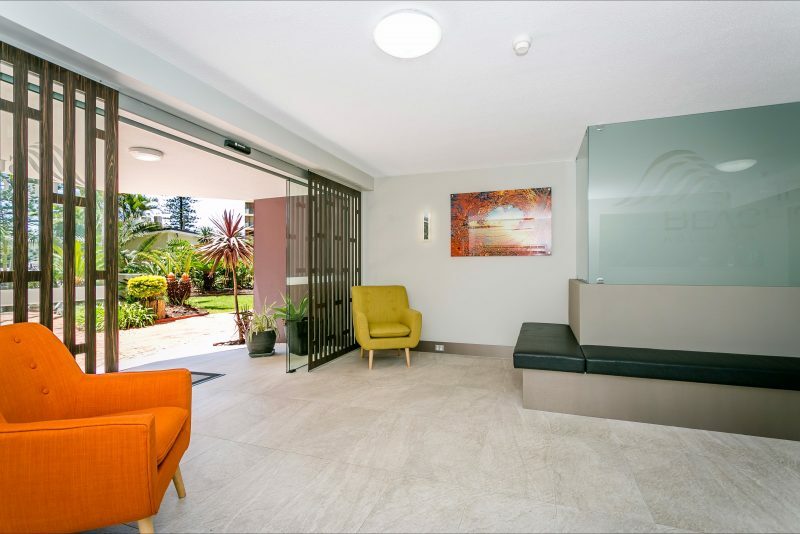 Set over 15 levels with beautiful views of the ocean and Gold Coast Hinterland, the Surfers Beachside Holiday Apartments are conveniently located close to everything!. 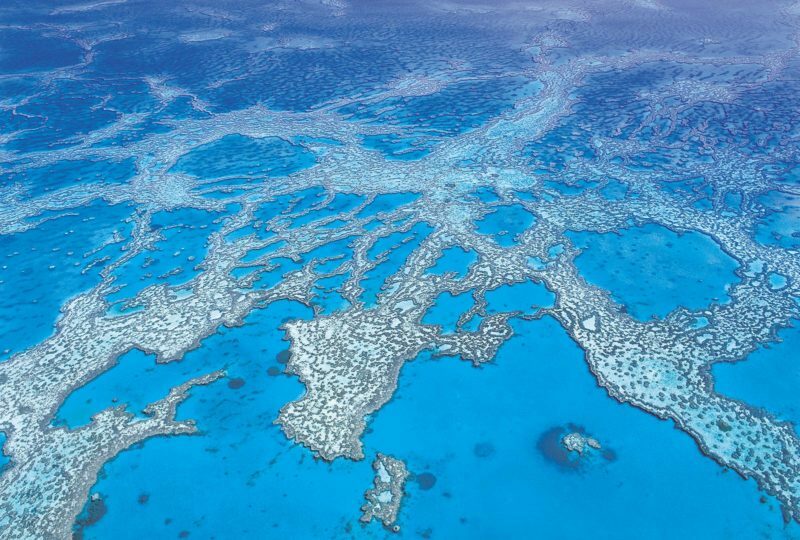 The glorious patrolled beach is only 30 metres away – perfect for swimming, surfing and boogie boarding. 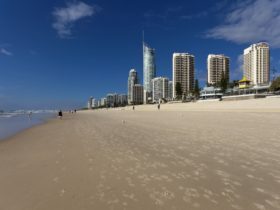 Plus all the fun and excitement of Surfers Paradise is a short stroll down the road. 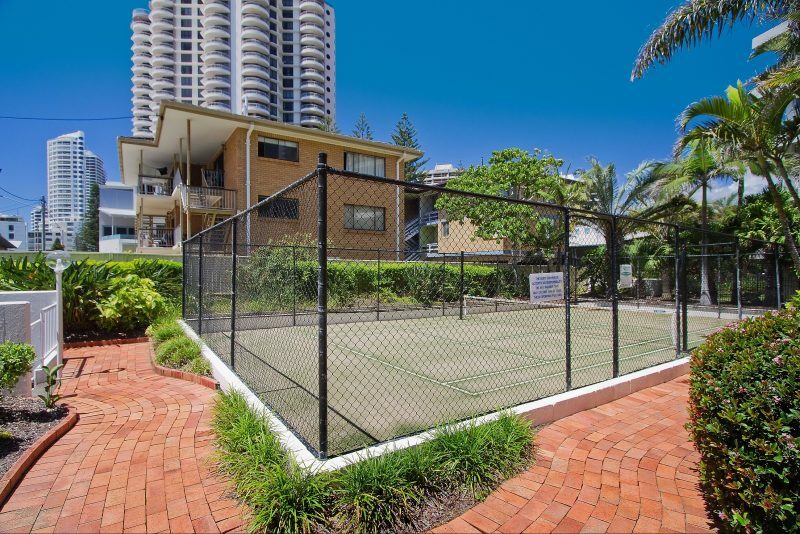 A Surf Club is only 70 metres away – enjoy bistro dining, have a quiet drink or coffee on the sundeck, watch the action on the beach or have a flutter on the poker machines. 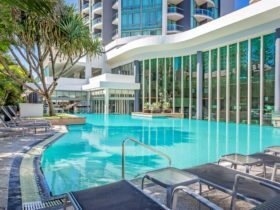 Enjoy fine dining at one of the Gold Coasts famous restaurants or stroll along the beach to Broadbeach with its cosmopolitan alfresco dining and shopping mall. 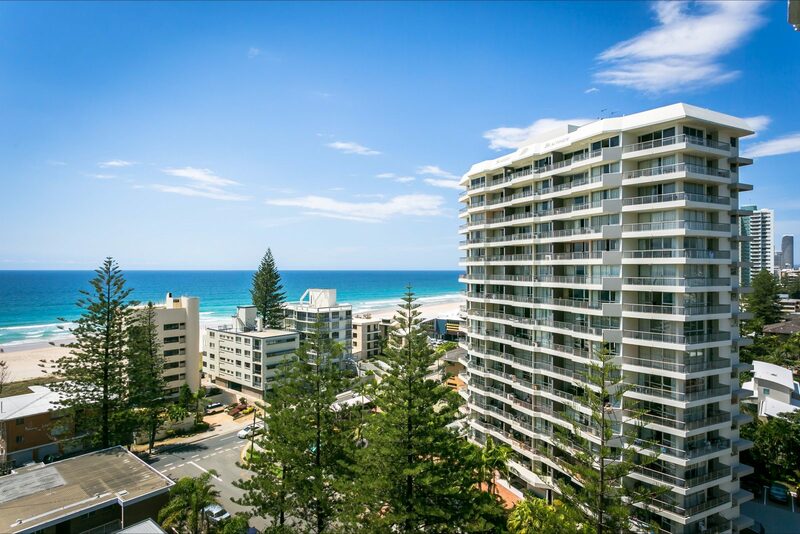 Surfers Beachside Holiday Apartments are perfectly positioned for the perfect holiday. 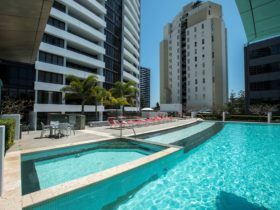 Each apartment has large private balconies with beautiful beach and ocean views only 30 metres from patrolled beaches and 70 metres from the Surf Club. Free wi-fi – Conditions Apply. 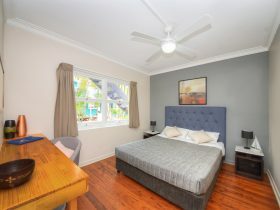 Spacious apartments comprise of one queen and two single beds with two bathrooms – (one an ensuite). Suitable for one to six persons, offering a fully equipped kitchen with dishwasher, microwave, full conventional oven with stove. All kitchen utilities, cutlery, crockery and linen are included in the tariff. 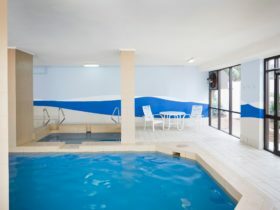 Each apartment also offers a washing machine and dryer, iron and ironing board, direct dial telephones and clock radio. 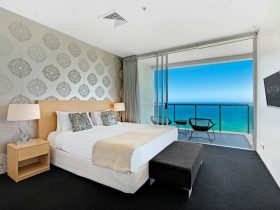 All apartments offer free Foxtel television and all are fully air-conditioned. A parking space in a secure underground car park is available. Free wi-fi – conditions apply.